The handsome style of Tracker is the true prescription for aching feet. 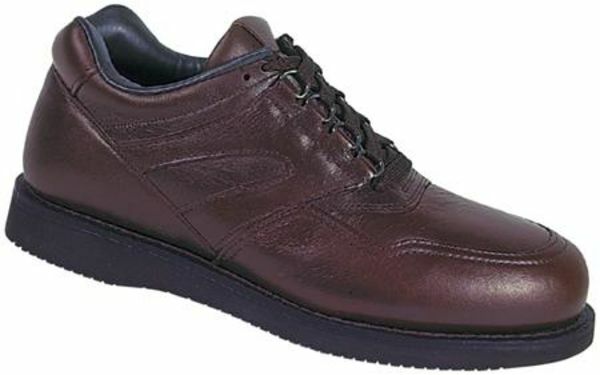 This shoe is ideal for general walking, or standing for long periods of time, especially on hard surfaces. Layers of lightweight comfort in a durable, long-lasting leather shoe with the added stability of classic welt construction. Offers a shock absorbing Vibram outsole. Speed laces provide secure and easy lacing. Padded tongue and collar. Click to see all the Drew Tracker colors.